A girl named Alice chases a clothed white rabbit that that runs past her while hurriedly consulting a pocket watch. 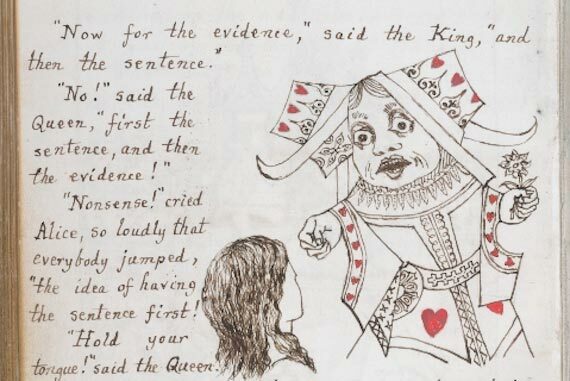 After falling down a rabbit hole, Alice is suddenly immersed in a fantastic land inhabited by a grinning cat that becomes invisible, by playing cards that speak and by a queen who demands the beheading of anyone who dares to contradict her. As this is a story for children, it is natural that Alice in Wonderland and its sequel, Through the Looking Glass, portray an imaginary world. 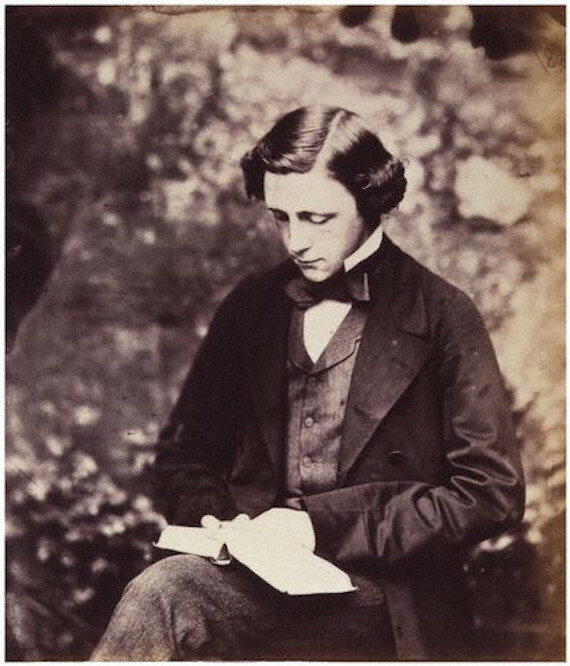 However, there is something about these stories of Lewis Carroll that makes them a special case and a matter of debate for adults even today, 150 years after the publication of the first volume on November 26, 1865. 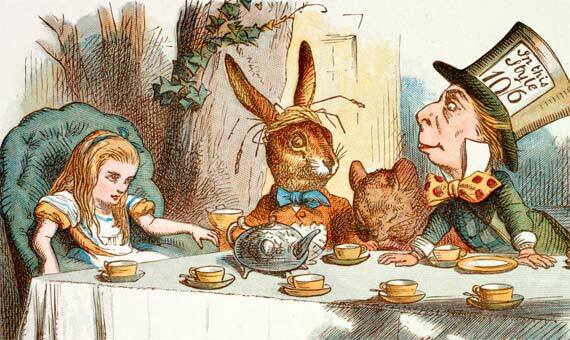 What distinguishes Alice from other children’s stories is its unique use of logic, sometimes taken to extremes, as when the Mad Hatter tells Alice that she can have more tea, given that she has not yet had anything to drink, but what she cannot do is “take less.” But at other times, the logic is twisted to absurdity – watches give the day but not the hour, time and memory work in both directions, several days pass at the same time, and one has to run to stay in the same place. Bayley’s theory about Alice as a parody of the new mathematics is exemplified in the chapter of the tea party, in which the girl meets the Mad Hatter and his two companions, the March Hare and the Dormouse. The three are eternally having tea at six because Time has abandoned them. According to Bayley, there exists a clear analogy with the concept of quaternions, proposed by the mathematician William Rowan Hamilton. Just as complex numbers consist of two terms, quaternions consist of four, corresponding to the three spatial dimensions and time. In the absence of Time, the three characters in the scene do nothing but go round and round the tea table, just as Hamilton’s quaternions only permit rotation in a plane if the fourth term is eliminated. But Bayley adds that the hidden jokes in Alice are not limited to mathematics. Carroll wrote the story for a little girl, Alice Liddell, whose father was the dean of Christ Church and therefore the author’s boss. According to the researcher, the first version of the story, titled Alice’s Adventures Under Ground, “was handed to the Liddell family and displayed on their coffee table.” In this initial instalment some passages are still missing, such as the tea party and others that Carroll added later after holding discussions with the dean on the policies of Oxford and the new mathematics. “Bringing together Dodgson’s own mathematical writings, his tendency to criticise Oxford politics through humour, his views on contemporary mathematical education and his rift with Alice Liddell’s father, I think we can look for jibes in the inserted scenes,” summarizes Bayley.